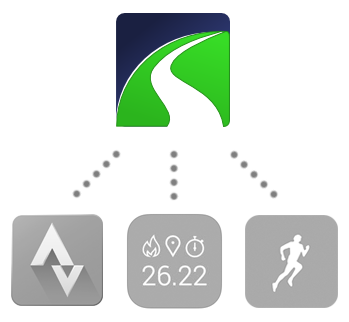 We work hard to make SportTracks compatible with as many devices, sensors, mobile apps, and web services as possible. Want to try new gear? With SportTracks, you have the flexibility to switch platforms and devices whenever you want. You can be confident that your workout log will continue working perfectly, no matter what gear you’re using. You can still utilize SportTracks if you don’t currently use a GPS watch or other tracking gear. You have the option to track your workouts with mobile apps like iSmoothRun for iPhone (which has auto-sync support), or Strava, Endomondo and more. Track with an app and sync via Tapiriik.